Kirkland’s Helena Scutt will compete with her California partner in sport’s debut Friday. 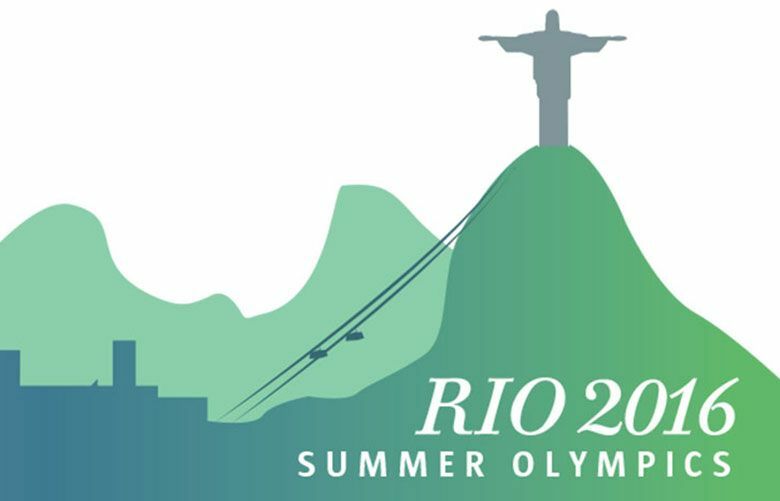 History will be made Friday when Kirkland’s Helena Scutt and her Coronado, Calif.-based sailing partner Paris Henken line up on the start line in Rio de Janeiro in their 49erFX skiff with the big U.S. flag pattern on the sail. This Olympics marks the debut of women’s high-performance skiff sailing, and Scutt and Henken will be the first pair of sailors to represent the U.S. in the 49erFX. They have Seattle’s Jen Morgan Glass to thank for the opportunity. Glass, 36, is widely acknowledged as one of the main players in the drive to get women’s high-performance skiff racing into the Olympic Games. “I can say unabashedly that it wouldn’t have happened without Jen,” said Julian Bethwaite, who designed the 49er, the boat the 49erFX was based on. The fight to get women’s skiff racing into the Olympics was an uphill battle that spanned eight years and multiple countries. But it all started one summer day in San Francisco in 2005, when Glass fell in love with a boat that forever altered her perspective on sailing. Glass is a former international-class sailor who has long held Olympic aspirations of her own. 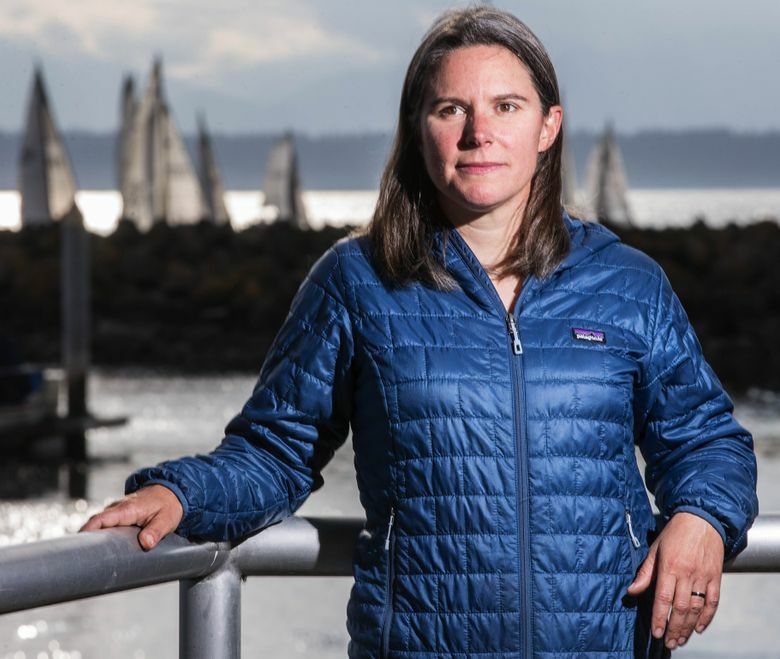 Sailing the 470 class racing dinghy, Glass came painfully close to making the Athens Olympics when she finished third in the 2003 U.S. Olympic trials and wrapped up that year with full intention of bouncing back to qualify for the 2008 Beijing Olympics. Life, however, had other plans for Glass. In 2005, while with her husband, Ben, at the 29er World Championships in San Francisco, Jen tried her hand at skiff racing for the first time and fell in love with the craft. The boat Glass sailed in 2005 was Bethwaite’s prototype of the 29erXX, a smaller, easier-to-steer precursor to the 49erFX that Henken and Scutt will sail this week in Rio. At that point, Glass’ ambitions morphed. She decided that the next time she mounted an Olympic campaign, it would be as a high-performance skiff sailor. The problem, however, was that in 2005, there was no women’s skiff-racing event in the Olympic sailing lineup. Thus began the quest to get women’s skiff racing into the Olympic Games. Over the next five years, Glass devoted herself to the cause of drumming up interest in the 29erXX all over the world. She took on the position of 29erXX class association president and organized numerous international events to get women acquainted with the new skiff, became the point person for all related marketing and sponsorship efforts, and tried to squeeze in as many sailing opportunities as she could get — all while juggling these organizational duties with her full-time job as a tech consultant. The idea was to expose as many women as possible to skiff racing. But it also made it tough for Glass to perform to what she knew was the best of her abilities in each of these events. Still, she kept at it, always mindful of the greater goal of getting another women’s sailing event into the Olympics. By 2010, it looked as if Glass’ efforts had started to bear fruit. “We started to have more events in more places, and that was the point where we got to 100 (29erXX) boats worldwide. That was pretty big,” Glass said. Momentum had also started building around the idea that women’s skiff racing should be added to the sailing lineup at the Olympic Games. The catch, however, was that to get women’s skiff racing into the Olympics, another event would have to be eliminated. That’s where intense politicking came into the picture. The final meeting for World Sailing to decide which 10 classes it would recommend to the IOC for inclusion in the 2016 Olympics was set to take place in May 2011. It came down to a matter of fighting for gender equality. “We have a bunch of women who want to do this and we’ve been ‘glass ceiling’ held out for a long time,” Glass said. Her perseverance paid off. In May 2011, sailing’s governing body voted to include women’s skiff racing in the Olympic Games beginning in 2016. The vote was a tremendous victory for Glass and her allies, but it also came with a personal cost. By 2011, after six years of working nonstop on the campaign to get the women’s skiff event into the Olympics, Glass was mentally and emotionally spent. “After we got the event into the Olympics, I knew I wouldn’t be trying to go to the 2016 Olympics,” Glass said. “Because I was just too burned out. It was taking too much time. It had transitioned at that point from a labor of love, to something that was taking up so much of my time that I couldn’t enjoy sailing itself. The fight wasn’t quite over yet. The next year brought another round of campaigning and meetings as Glass pushed to get the 29erXX selected as the boat women would sail in the 2016 Olympics. The 29erXX eventually lost out to the newer, bigger 49erFX, which was ultimately chosen in part because voters felt that it was a more challenging boat to sail. But for Glass, that came secondary to the fact that women’s skiff had finally found its place in the Olympic lineup. There’s a part of Glass that still wonders if she made a mistake in deciding not to mount a campaign to sail in the event she fought to include in the Olympic Games. The opening ceremony night of the Rio Olympics was hard for her, as she scrolled through her Facebook newsfeed and saw picture after picture of sailors she’d coached – such as Scutt – and sailors she’d sailed with and against in the past all decked in Team USA’s Ralph Lauren formalwear as they participated in the athlete’s parade. Still, when the 49erFX fleet lines up on the start line on Friday, Glass expects that this feeling of longing tinged with regret will give way to one of accomplishment.